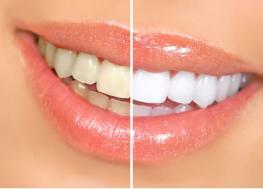 Having a confident smile can change your life! Many of us feel that our smiles are most striking when our teeth look especially white, but unfortunately, soft drinks, coffee, tea, and tobacco can leave behind ugly stains. To help you restore your gleaming, bright white smile and to give you an added boost of confidence, we offer many options, such as custom whitening kits. 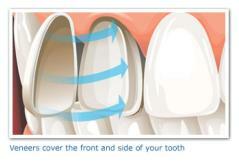 Veneers are paper- thin, custom-made coverings that conceal the front and side of your tooth, much like a mask or an artificial fingernail. If your teeth are stained, broken or shaped in a way that is not pleasing to you, then you may want to consider veneers to beautify your smile. Veneers are most often custom made from porcelain and fit precisely over your existing teeth and are held in place by a special light sensitive resin which adheres the back of the veneer to the prepared tooth. 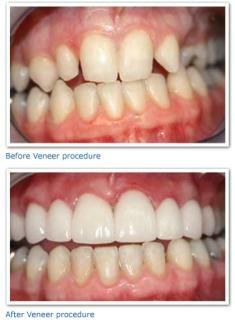 Placing veneers provides major changes in teeth without the requirement of cutting them down severely. A healthy “natural” look is achieved with little or no discomfort. However, depending on the situation, crowns, bonding, bleaching, micro abrasion, or orthodontics may be suggested instead of veneers. 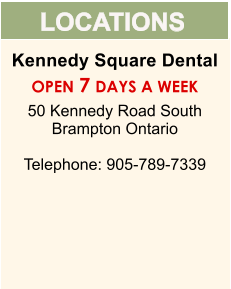 A thorough dental evaluation can help your dentist in Brampton Kennedy Square Dental access the general health and cosmetic appearance of your teeth to determine which option is best for you.